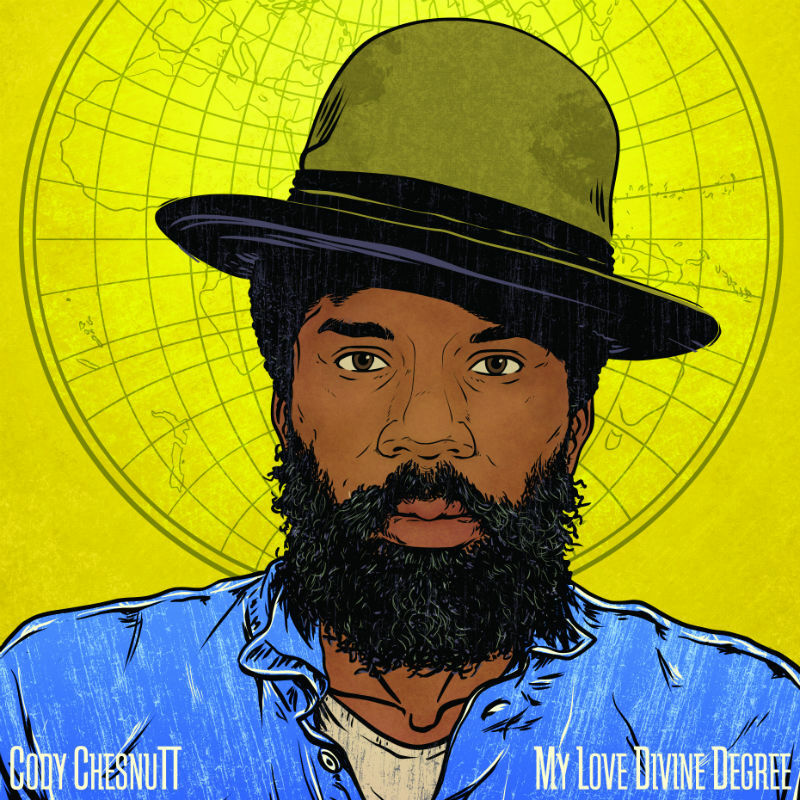 National Public Radio is giving audiences the chance to hear Cody ChesnuTT’s new album in is entirety before it hits stores. The organization is streaming ChesnuTT’s new album My Love Divine Degree, online now through its NPR Music page. It will only be available to stream for a short time as the album is currently scheduled to be released on digital platforms Friday, June 2 via Handwritten Records and on CD on June 30. Audiences can hear the album in whole now here and pre-order it here. My Love Divine Degree is being streamed as pat of NPR’s “First Listen” series. 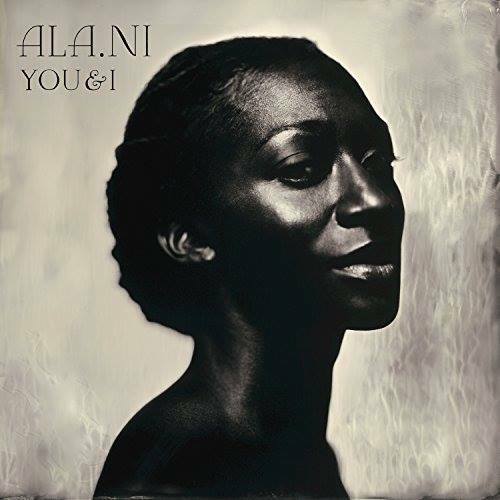 The 13 songs that make up the body of the record were recorded and mixed over the course of 18 months and co-produced by Grammy® Award-nominated producer Anthony “Twilite Tone” Kahn. The record’s track listing is noted below. Late this past September, Cohen Media Group released a new pair of classic crime flicks for fans of the crime genre and for all of the classic movie buffs in the form of A Scandal in Paris and Lured. 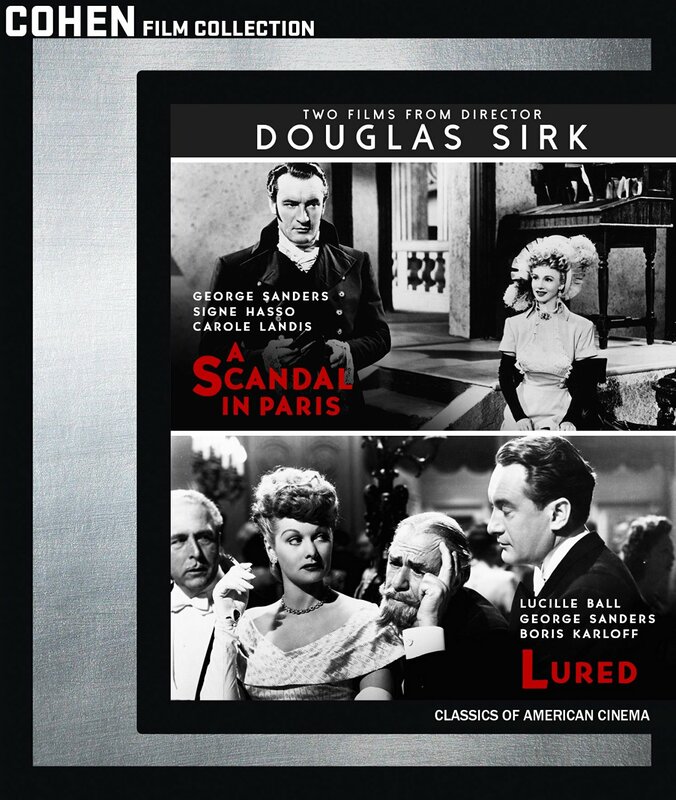 Chen Media Group’s focus in re-issuing the movies together is on their director, Douglas Sirk. But there is so much more to note of these classic crime flicks than Sirk’s work. Yes, his work at the helm of each work is important. There is no denying that. But his work is not the only important element of each movie. The very story at the heart of each movie is the central element that should be noted. The work of the movies’ cast is just as important to note as the stories at the center of each movie. The bonus commentary included in each movie’s presentation is important to note, too. One could even argue that the set’s packaging plays its own part in its presentation, too. All things considered, Cohen Media Group’s presentation of A Scandal in Paris/Lured on Blu-ray easily makes the combo pack a candidate for a spot on any critic’s list of the year’s top new DVD and Blu-ray re-issues. Cohen Media Group’s re-issue of A Scandal in Paris and Lured is a combo pack release, but even with that in mind, this dual-movie set easily makes itself a candidate for a spot on any critic’s list of the year’s top new DVD and Blu-ray re-issues. This is due in part to the story at the center of each movie. In the case of A Scandal in Paris the story is taken to be a cinematic adaptation of crook turned cop Francois Eugene Vidocq’s life with star George Sanders in the starring role. From beginning to end, the story is a classic in its own right. That is because it sees Vidocq turn from his criminal ways to an honest man thanks to the influence of his romantic interest, played here by Carol Landis. At its heart, the movie is less a crime flick than a romance story and an underdog story. One can’t help but wonder if this movie played a role in influencing the creation of Cary Grant’s 1955 action/crime flick To Catch A Thief or even the very similar story presented in the 2002 movie Catch Me If You Can. To that end, the movie is one that will reach audiences of so many interests, not just lovers of crime stories and classic film buffs. It is just one way in which the stories behind the set’s featured movies show their importance in the set’s overall importance. The story behind Lured is just as important to note in examining this collection as that of A Scandal in Paris. The story at the center of A Scandal in Paris is in its own right a clearly important example of what makes the stories behind the movies so important to the set’s presentation. It is not the only story worth noting here, either. The story behind Lured is just as important to note in the set’s presentation as that of A Scandal in Paris. The story behind Lured follows Lucille Ball—yes, that Lucille Ball—as dancer turned crime fighter (of sorts) Sandra Carpenter. Carpenter is enlisted by Scotland Yard in this story to help find a serial killer who has murdered seven innocent young women. It’s up to Sandra to help find the person responsible for the murders. Along the way, Sandra falls for a gentleman named Robert Fleming (George Sanders—A Scandal in Paris, Batman, The Jungle Book). As the story progresses, the romance between the pair grows, with Fleming obviously losing her and then getting her back in the end a la every romantic movie ever crafted. It’s a relatively simplistic story, and as viewers will learn through the commentary not entirely original. Yet audiences will also agree that even despite its lack of originality, is still so entertaining surprisingly enough. The commentary will be discussed later. When one considers the story behind each of this collection’s featured movies, there is no denying their importance in the collection’s overall presentation. Of course the movies’ stories are just part of the set’s presentation worth noting. The work of the case within each movie is just as important to note as the stories. The stories that were crafted for A Scandal In Paris and Lured are clearly important elements to note in examining the overall presentation of this new classic cinema re-issue set from Cohen Media Group. While the stories are extremely important to the set’s presentation, they are not its only collectively important element. The work of the movies’ cast is just as important to note in the set’s presentation as the movies’ stories. Since George Sanders is the lead in both movies, it suffices to say that he plays the same sort of character in both movies; a gentleman character. While the two characters have distinctly different backgrounds, the character type is still the same. And Sanders adapts to both characters with ease, allowing each to stand out from the other despite, again, the pair being the same type of character. Sanders’ A Scandal in Paris cast mate Akim Tamiroff is just as enjoyable to watch in his role as Emile Vernet. Tamiroff’s take on Vernet is so enjoyable to watch because of his ability to balance the man’s gentlemanly side and his more comical side. There’s a certain subdued nature to both that makes him so enjoyable to watch throughout the story. It is something that must be seen to be fully appreciated. One could dissect the work of each cast member within this movie in explaining the importance of their work in making A Scandal in Paris so enjoyable. That would take far too long, though. Suffice it to say that the work of the cast in whole is important to note in showing why its work is so important to the movie’s (and collection’s) overall presentation. The work of Lured’s cast is just as important to note as that of A Scandal in Paris. Sanders’ work in both movies—and that of Tamiroff in the set’s lead film—are wonderful examples of what makes the acting so important to note in examining this recently released collection’s overall presentation. The work of Lucille Ball and company in Lured is just as important to note as that of A Scandal in Paris. Most people know Lucille Ball for her comic genius in I Love Lucy and its spinoffs (The Lucy Show, Here’s Lucy). But she shows a completely different side of her talents in this movie. Audiences will love seeing Ball as a strong, confident character here, and a lead no less. She does show some vulnerability at times, but for the most part, is a strong, self-assured figure who handles herself quite well. She is just as brilliant by herself as she is alongside her cast mates. That is especially the case when she is on screen opposite Sanders and fellow cast mates George Zucco (The Pirate, The Hunchback of Notre Dame, Scared to Death) and Charles Coburn (Gentlemen Prefer Blondes, Heaven Can Wait, Monkey Business). Her scenes with Zucco are in fact some of the movie’s best moments because of the chemistry between the pair. Early on when the pair’s characters first meet and introduce, they exchange weapons in a moment that is so subtle yet so funny because of that subtlety. There is also a scene in the park in which Sandra (Ball) tells Officer Barrett (Zucco) to hold her dog for her as she contacts Inspector Temple (Coburn) via phone. Barrett’s reaction as he has to hold the dog, all while trying to fill out the crossword puzzle in his copy of the local newspaper, is just as entertaining to watch. While his appearance is brief at best, horror master Boris Karloff is entertaining in his own right as the crazed fashion designer Charles van Druten. Noting again the movie’s bonus commentary, Karloff’s ability to so easily switch between sanity and insanity—even in such a short time on screen—makes him such a wonderful addition to movie. He truly shows his years of experience and seriousness with which he took the role through that display. Again, even as short as it may be, it adds to much enjoyment to the movie. Even Sir Cedrick Hardwicke (Rope, The Ten Commandments, Richard III) is just as enjoyable to watch as Julian Wilde, Robert Fleming’s friend. Not to give away too much, but Hardwicke plays his own important part in the movie. Between his work, that of Ball, Sanders, Karloff and the rest of the cast, it should be easy to see by now why the work of Lured’s cast is just as important to note as that of A Scandal in Paris. The work of each movie’s cast combines with the work of the movie’s writers to make for even more clear why this recently released collection of classic crime flicks from Cohen Media Group is so enjoyable to watch. Even with all of this in mind, the movies’ stories and the work of their respective casts is, collectively speaking, still not all to note in examining the collection’s presentation. The bonus commentary that is included in each movie is just as important to note as the previously noted elements. The stories that were crafted for A Scandal in Paris and Lured are key elements to the overall presentation of their pair’s overall presentation in their new joint re-issue from Cohen Media Group. They are not the only the only elements to note in examining the set’s presentation. The work of each movie’s cast is just as important to note as the movies’ stories. Between the work of the movies’ main cast members and even the supporting cast, the work of each movie’s cast is just as important to note as the story behind each flick. Having noted that, those two elements are not the only elements that should be examined here. The bonus commentary that is included with each movie rounds out the set’s most important elements. NPR Film Critic Wade Major offers an in-depth and entertaining study of A Scandal in Paris, offering a rich historical background of the movie. He also offers a study of the movie’s relevance to similar movies and the film community in the 21st century along the way along with much more throughout. The insight and entertainment offered via Wade’s commentary is more proof of the importance of commentary in any movie’s home release. It shows that good (or in this case great) commentary can take a run of the mill movie and make it something great. That is because of the added level of appreciation that it creates for said movie. Turner Classic Movies writer and film historian Jeremy Arnold’s commentary included in Lured is important to note in its own right, too. Right from the outset of his commentary, audiences are presented with a rich background on the movie and its connection to the popularity of noir films at the time thanks to the work of director Douglas Sirk. Arnold also points out through his commentary that the movie is not necessarily an original work. He points out that the movie’s story contains elements of two (yes, two) other movies, essentially making the movie a double re-imagining of sorts. Audiences will agree with Arnold that despite this realization, the movie is still somehow so entertaining from beginning to end. Arnold also focuses attention on Karloff and even fellow supporting actor Alan Napier, offering some of Napier’s own words on his career before his death in 1988. That is just a portion of the commentary offered up by Arnold throughout Lure. In other words it is just a small sample of how much his commentary has to offer audiences and how much it has to add to the movie in whole. Keeping this in mind and how much Major’s commentary adds to A Scandal in Paris it becomes increasingly clear just how much the movies’ overall commentary adds to this collection’s overall presentation. When the commentaries are set against the work of the movies’ casts and the story at the heart of each movie, the movies in whole prove to be works that will entertain not only fans of the crime genre but audiences across the board. They combine to make this collection one that despite being a dual movie re-issue, one of the year’s top new DVD and Blu-ray re-issues. The Reverend Shawn Amos unveiled a new music video last week. He also announced a new handful of live dates in support of his latest album The Reverend Shawn Amos Loves You. The Reverend Shawn Amos debuted the video for his song ‘You’re Gonna Miss Me (When I Get Home)’ last week. The song is taken from his latest full-length studio recording The Reverend Shawn Amos Loves You, which was released late last year. Audiences can see the video online now via Amos’ official YouTube channel. The video uses some interesting imagery to drive home song’s lyrical theme. This should be kept in mind in watching the video. ‘You’re Gonna Miss Me (When I Get Home)’ and its companion video are just the latest from Amos, who is in fact a fully ordained minister. ‘Bright Lights, Big City,’ the album’s lead single, was premiered via Yahoo Music. ‘Days of Depression,’ which features backing vocals from the world famous Blind Boys of Alabama, premiered online at Relix. And ‘Brand New Man’ made its debut online at PureVolume. Along with the release of his latest single, Amos also announced a new group of select live dates. The performances are specifically in California. They include performances in Los Angeles, Costa Mesa, Santa Rosa, and Petaluma, California. The full schedule of dates is noted below. IFC Films’ latest outing from actors Rob Brydon and Steve Coogan is one of 2014’s best new independent releases. The “sequel” to the duo’s 2011 feature simply (and aptly) titled The Trip, The Trip To Italy stands out unlike any other production released in 2014. It stands out primarily in its approach. It isn’t necessarily a movie in the most traditional sense. Though there is a sense of a buddy road trip to the story. That buddy comedy element is crossed with something that could almost be considered a reality TV sort of approach. The end result is a presentation that one can’t help but watch if only for that reason. The approach taken by those behind the cameras in presenting The Trip To Italy is just part of the whole that makes this rather intriguing and entertaining work so well worth the watch. Brydon and Coogan’s (sounds like a law firm doesn’t it?) jokes and impersonations throughout the trip make for their own share of entertainment. Nothing is off limits to the pair. No doubt the duo’s comic bits and discussions will have any open-minded viewer laughing uproariously. The last element of The Trip To Italy that makes it such a joy is its backdrops. There is no green screen here. There is no movie magic. Everything that audiences see is really the Italian countryside. In its own way, it could be argued that it is a throwback to the golden era of moviemaking. Together with the movie’s comic element and its overall presentation, all three elements make The Trip To Italy a movie that while not a movie in the traditional sense, a production that still stands firm on its own laurels and is one of the best new independent releases of 2014. The Trip To Italy is one of the best new independent film releases of 2014. The movie, which ironically enough is itself a sequel, proves to be far better than any of the mass of sequels churned out by Hollywood’s Power Five studios last year. The central reason that it outperforms those movies is the manner in which it is presented. The “movie” isn’t necessarily a movie in the traditional sense. Yet the classic buddy comedy/road trip aspect is there. To be more precise, it blends that element with something along the lines of a reality TV show to make for a production that completely stands out from that mass of major name equels. What’s more, being that Coogan and Brydon spend most of their time either eating and driving, one could even compare it to the likes of PBS’ Rick Steves Europe. Go figure, Coogan and Brydon go after so many pop culture figures, movies, and more. But they don’t poke fun at Rick Steves even being in a setting that only encourages such jabs. That will be discussed later. Getting back to the subject at hand, the duo’s travels through Europe was compltely unscripted. It was just them touring Italy, checking out some of the country’s finest cuisine and taking in the sights all while making jokes and trying out their best impersonations. There’s no scripting. So while yes it is a movie, it also shows to be one third documentary and one third reality TV. That The Trip To Italy comes across as such an intriguing hybrid is plenty of reason within itself for audiences to check out this latest release from IFC Films. It’s just one reason to watch it, too. The jokes and impersonations shared throughout the its near two-hour run time make The Trip To Italy even more worth the watch. The hybrid presentation of The Trip To Italy offers audiences plenty of reason within itself for audiences to watch the “movie” at least once. The jokes and impersonations that are thrown around throughout the course of its near two-hour run time add even more reason for audiences to check it out. Nothing is off limits to Coogan and Brydon, either. From Alanis Morissette to Sean Connery and Roger Moore to Al Pacino and more, Coogan and Brydon go after everyone that they can think of. There’s even a joke aimed at famed Prairie Home Companion host Garrison Keillor. Speaking of public broadcasting, it is interesting that there was no mention of PBS’ travel series Rick Steves Europe anywhere in this production since the duo spent the length of the movie travelling the Italian countryside. Perhaps that was just too easy and too expected. It’s anyone’s guess. Regardles, the jokes and impersonations that are included throughout the “movie”–including a lighthearted jab at Americans’ tendency to use overblown names for themselves and their posessions–make for plenty of laughs and in turn, just as much entertainment. It’s yet another way in which The Trip To Italy proves itself worth the watch. It still isn’t all that makes the production worth the watch, either. The backdrops throughout the presentation round out the reasons to watch The Trip To Italy. The comic element of The Trip To Italy and its original hybrid presentation are both key to its enjoyment. Both aspects play their own important role in the production’s enjoyment. While both are equally important, they still are not all that make the presentation worth the watch. The “movie’s” backdrops round out the whole thing and make it all the more enjoyable. 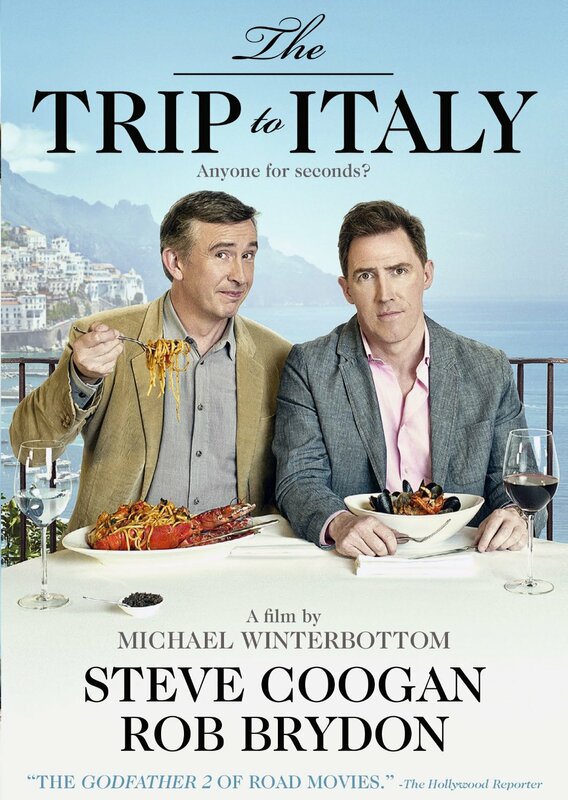 As noted previously, it would have been so easy for audiences to make a comparison between The Trip To Italy and PBS’ Rick Steves Europe in watching this work since Coogan and Brydon were travelling the Italian countryside. It would have been just as easy for Coogan and Brydon to make jokes at that show’s expense. Of course that didn’t happen. Perhaps that’s because it would have been too expected and easy. Regardless, the backdrop of the Italian countryside is a major positive to the whole of The Trip To Italy. As subtle as it is and as little as some might think about it, seeing that countryside is just like watching Rick Steves Europe. It’s like watching a video postcard. There is no green screen. There are no special effects. It is really the duo travelling the countryside. It is more proof of the duo’s (and of IFC Films’) dedication to making the experience 100 real and believable for audiences. It is that reality of the “movie” alongside its original hybrid presentation, and its laugh riot jokes and impersonations that makes The Trip To Italy a trip that audiences will want to take more than once. Anchor Bay Entertainment will release its new romantic comedy At Middleton this Spring. 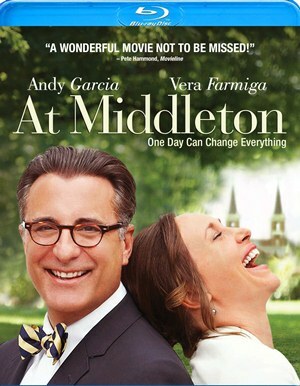 At Middleton will be released on Blu-ray and DVD Tuesday, April 1st. It features an all-star cast headed by Vera Farmiga (Bates Motel, Up in the Air) and Andy Garcia (Ocean’s Eleven, City Island). It also stars Taissa Farmiga (American Horror Story), Spencer Lofranco (Jamesy Boy), Peter Riegert (Dads), and Tom Skerritt (Picket Fences). The story follows George (Andy Garcia) and Edith (Vera Farmiga) as they meet while joining their children on a tour of the campus of Middleton College. The pair meet thanks to a divide between themselves and their children. Their meeting leads to a reminiscing of their own college years. That reminiscing leads to personal revelations for both figures. At Middleton has been praised by both audiences and critics alike. New York Times writer Neil Genzlinger wrote of the movie, that it is “delicate and restrained” and “a surprise of a film.” Rex Reed writes for The New York Observer. He wrote of Farmiga’s performance that it was her “best role since she tamed George Clooney in Up in the Air. Kudos have come in from other major media outlets including: NPR, The Huffington Post and many others; each one as complimentary as the last. Audiences are treated to a number of bonus features in the home release of At Middleton. There is an audio commentary with director/co-writer Adam Rogers, producer/co-Glenn German, and producer/actor Andy Garcia. Also included as bonuses are: a gag reel and bonus music track of ‘There Was A Day.’ Andy Garcia wrote the song’s lyrics and sang the song and partnered with Arturo Sandoval to write the song’s music. Sandoval arranged the song. The DVD presentation of At Middleton will be available Tuesday April 1st for SRP of $22.98 and on Blu-ray for SRP of $26.98. More information on this and other releases from Anchor Bay is available online at http://www.anchorbayentertainment.com and http://www.facebook.com/AnchorBay. To keep up with the latest sports and entertainment news and reviews, go online to http://www.facebook.com/philspicks and “Like” it. Fans can always keep up with the latest sports and entertainment news and reviews in the Phil’s Picks blog at https://philspicks.wordpress.com.